You can see stars and planets just by looking up into the night sky – but what’s really going on up there? How hot is the sun? Which stars can we see most clearly? Where do the stars end? Test your knowledge to the max with this fun fill-in workbook. It’s all interactive, which means you don’t just read: you get stuck in and explore! So try a quick-fire quiz! Turn the wheel to pick an activity! Stick in stickers! Memorize fast facts! 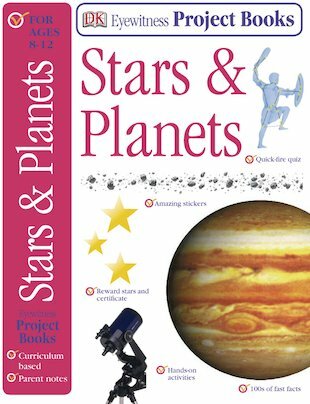 What with a progress chart, reward stickers and a pull-out certificate, you’ll soon be a top expert on the stars and planets!